It’s not just about compliance any more. You’ve seen it in the headlines: 79% of Warning Letters issued by the FDA cite data integrity issues in 2016 (up from just 26% in 2013). But what does this actually mean? Where do these figures come from? Isn’t this just in India or China? What was traditionally known as electronic data compliance is now universally referred to as data integrity. And, today, it goes way beyond simply managing data. Data integrity crosses into a world where the electronic systems are recording the everyday behavior of analytical staff as they strive to create accurate test results. In most cases, audit trails show that analysts and their managers are working with scientific and ethical integrity; but not in every case. Testing into compliance (or, more accurately, testing into specification) has been uncovered more often than anyone expected, with a variety of justifications or excuses for releasing poor quality product into the supply chain. Additionally, regulators have concerns that while no evidence may be available to prove actual data manipulation – do users have the motivation or opportunity to do so? Would your review and approval processes uncover “polishing results” or “cherry picking results” at your company? This monthly blog series will outline the concerns of regulators (and, thus, consumers); the expectations that 20-year-old regulations are understood and being leveraged correctly; the misconceptions and challenges; and how to understand the risks and mitigate them appropriately. Understanding these key areas give you confidence in your data – and confidence that the regulators trust the results you are presenting or submitting. What you’ll read in this blog should not be considered regulatory advice or the views of Waters Corporation, but the conclusions of the author, based on the experience I have gathered in dealing for more than 25 years with questions from mainly chromatography laboratories. You will read my personal interpretation about compliance and regulators expectations for accurate and trustworthy data. Data integrity matters. Follow my blog and next month we’ll answer the fundamental question: Why is data integrity important? Waters has many customers that use our consumables, instruments, software, and services in regulated environments. 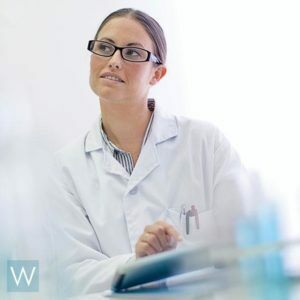 Our experts have many years of experience of supporting these customers as they ensure their laboratories meet regulatory expectations, such as Good Manufacturing Practices, Good Laboratory Practices, and Good Clinical Practices from health authorities across the globe. Specifically, our informatics specialists have developed expertise in the expectations regarding management of electronic data to meet those regulations: 21 CFR Part 11, EU Annex 11, and PIC/s Annex 11, plus dozens of regulatory and industry guidances.